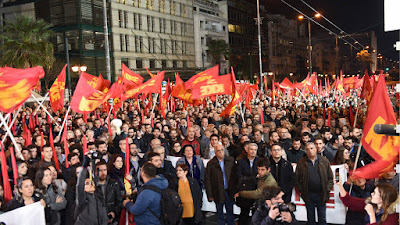 Thousands of members and supporters of the Communist Party of Greece (KKE), alonside workers, pensioners, young men and women, said a militant "NO" to the Prespes Agreement, the USA-NATO-EU plans, denouncing irredentism and nationalism, during a massive rally in Athens on Thursday afternoon. 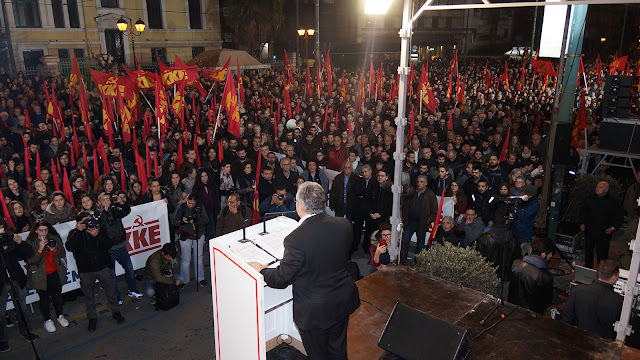 Under the slogan "This isn't an agreement of the people but an order of imperialists", thousands men and women gathered at Eleftherias Square, where the General Secretary of the CC of the KKE Dimitris Koutsoumbas delivered a speech. 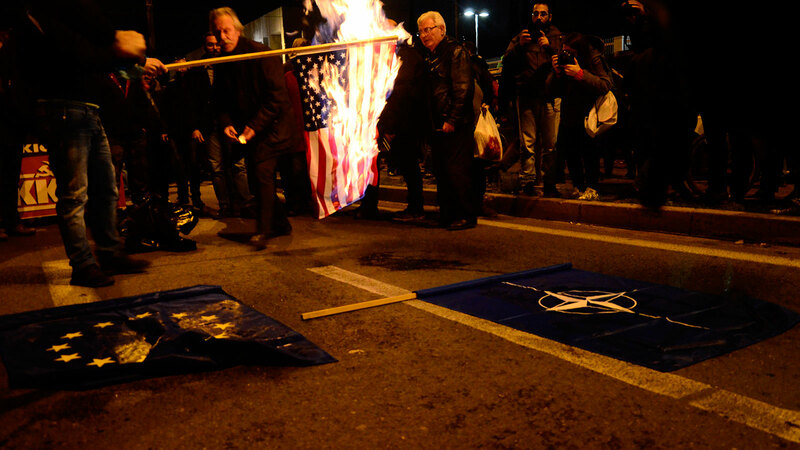 The demonstrators marched towards the U.S. embassy where protesters burned the flags of NATO, US and EU. The KKE demonstration was a militant response to both the dangerous plans of the SYRIZA government which has been the standard-bearer of the US-NATO interests in the Balkans as well as against nationalism and irredentism. Earlier, on Thursday morning, members of the KKE and KNE unfolded giant banners at the Acropolis rock with the slogan "No to the agreement between Tsipras-Zaev, to the plans of USA-NATO-EU, to irredentism and nationalism. 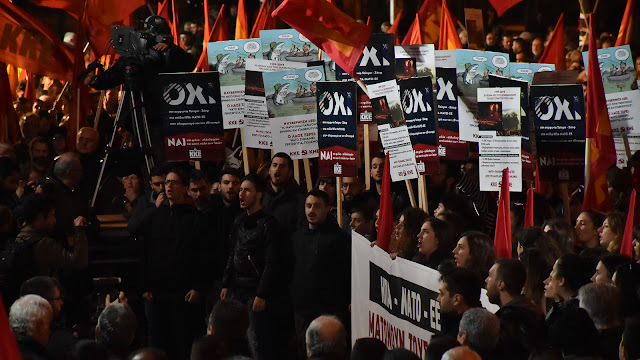 Yes to friendship, solidarity and joint struggle of the peoples" in Greek and English. Similar anti-imperialist rallies, organized by the KKE, took place in Thessaloniki and Larisa. The discussion in the Greek Parliament regarding the Prespes Agreement is expected to conclude on Friday afternoon, when the deputies will be called to vote for or against the deal.